Super Bowl XLVIII Weather: What's the Solution? Super Bowl XLVIII Weather: What’s the Solution? The stage is set for Super Bowl XLVIII. The biggest game of the NFL season is approaching quickly and there seems to be an issue that is dominating the Super Bowl discussion. No, I'm not talking about what Richard Sherman will say next, but rather what the weather will be like on game day. The game is set to take place in East Rutherford, New Jersey/New York where there has been talk of the threat of a major winter storm. 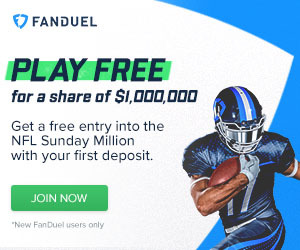 The NFL ignored the risk and probability of this happening by choosing to have the game here due to the money that could be made from it (Read more about the NY Bias: https://fantasyknuckleheads.com/super-bowl-new-york-bias/ ). This has sparked many discussions about what the solution is to avoiding this situation in the future. While recent weather reports have shown that the chance of a winter storm has drastically decreased, it still presents an interesting debate. Below, I have listed the four main arguments I have heard used by various sports analysts and casual fans, along with some of the pros and cons associated with each. Pro: Many people want no action to be taken at all. The elements and unpredictability of the weather are a part of the game. The entire season is played in all different types of weather and the Super Bowl should be that way too. This is how it has always been, and this is the way it always needs to be. If something isn't broken, don't fix it. Con: Basically, everything that has everyone worried about the big game this year. The Super Bowl is the game which decides the champion of the NFL. If the weather is horrible, it may not tell us anything but which team can stay on their feet the longest without tripping in the snow. Take for example the "snow game" earlier this year between the Philadelphia Eagles and the Detroit Lions (pictured to the right). While this game may have been fun to watch for non-football fans or fans of teams other than these, it was a very poor display of an NFL game. Players were unable to stay on their feet, quarterbacks couldn't throw accurate passes, and I can guarantee you that these teams did not find anything funny about this. Only 3% of players ever make it to a Super Bowl and it would be a shame if the deciding factor of a game was mother nature. Solution #2: Always have the Super Bowl indoors. Con: It could take away from the "integrity" of the game. Some believe that the game of football was meant to be played outdoors and that it should always stay that way. Also, it may play some sort of role in the game if the majority of the regular season games were played outdoors. The feel of playing indoors may actually have a different kind of affect on the game. Solution #3: Have all playoff games played indoors. Pro: Not only the Super Bowl, but every playoff game is important. No important game should have the possibility of being drastically changed by the weather. This would ensure that we can truly see who the best team is in the NFL, starting all the way at the Wild-Card round. Con: This is unrealistic without solution #4 happening. The thing that makes this impossible is the home-field advantage factor. Currently, only 8 NFL teams play in a domed or retractable roof stadium. When any of the teams other than these 8 hosted a playoff game, they wouldn't get to do it in their own stadium. That would obviously never happen, which leads us to solution #4. Solution #4: The NFL should gravitate toward every team playing indoors. Pro: While this view is obviously unrealistic (for now anyways), it is an interesting theory. More and more teams across multiple sports are starting to build these domed and retractable roof stadiums. It is not crazy to think that one day, we could be looking at a world of sports where every team played in stadiums like these. Weather would never have a chance of playing a role in any game. This solution is a view held by the ever popular ESPN First Take analyst, Skip Bayless. Con: Obviously, it would take a lot of time and money to build these revolutionary stadiums. Also, once again we are presented with the belief that football was meant to be played outdoors. This would fully compromise that belief. As you can see, any solution is going to have its perks as well as its drawbacks. Any decision for a game of this magnitude is going to have people who will argue and disagree. It varies between the individual as to which view is right. As for me, I believe that some form of solution #2 would be best. I believe that the most important game of the year should have no added factors outside of the teams competing, and should be played either indoors or in a place where there is virtually no chance of inclement weather. Lets just all hope that the recent reports are right and the weather will not play a factor in Super Bowl XLVIII. Comment and let us know which solution you would like to see or something that could be added to any of them. Category - NFL Coverage - Super Bowl XLVIII Weather: What’s the Solution?